The scorer of “The Goal”, Paul Henderson’s professional career spanned 21 years. Coming up through Detroit’s farm system, he played his first full season in 1964-65. In 1968, he was traded with Norm Ullman to Toronto in exchange for Frank Mahovlich. Although mostly used as a checker, Henderson was chosen for the Summit Series because of a 38-goal season in 1971-1972. Playing with Ron Ellis and Bobby Clarke, he performed well even though Canada didn’t. It was in the eighth game in Moscow that Henderson stepped onto the ice and took two swipes at a Phil Esposito pass to break a 5-5 tie with the Soviets, causing joy to erupt across Canada. Henderson went on to play in the WHA and then retired in 1981, his place in hockey history secure. Drafted by Dallas in 1993, Todd Harvey first played in the NHL in 1994. He played parts of four seasons for the Stars before being traded to the New York Rangers. Again relegated to a call-up role, Harvey moved to the San Jose Sharks where his chippy and aggressive style provided protection for his teammates, as well as adding some occasional points. In his final NHL campaign, Harvey was apart of the Edmonton Oilers cinderella run to the 2006 Stanley Cup final, which they lost in 7 games to the Carolina Hurricanes. Harvey is currently an assistant coach to the OHL’s Guelph Storm. Craig Hartsburg signed as an underage free agent with the WHA’s Birmingham Bulls in 1978. With nine goals and 40 assists, the North Stars came calling when the WHA folded. After spending all ten of his NHL seasons with Minnesota, he was a three-time All Star and played on the 1987 Canada Cup team. After retiring, he became an assistant coach with Minnesota and Philadelphia. After a season as the Guelph Platers’ head coach, he became head coach of the Chicago Blackhawks for three years and the Mighty Ducks for another three. Hartsburg also served as an assistant coach with the Philladelphia Flyers after his time in Anaheim. After stints as a head coach of the Sault Ste. Marie Greyhounds and Everett Silvertips, during which time he also coached Team Canada to two gold medals at the 2007 and 2008 World Junior Hockey Championships Hartsburg returned to the NHL as an assistant coach with the Calgary Flames. 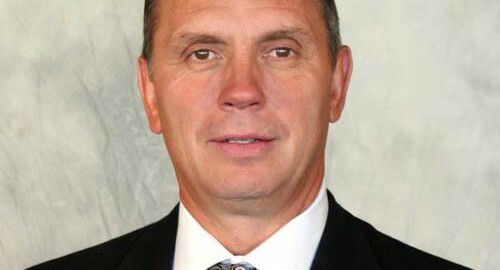 In 2012, Hartsburg became an associate coach with the Columbus Blue Jackets. Chosen by the Islanders in the first round in 1972, Billy Harris scored in the Islanders’ very first game in the NHL. A consistent scorer for Long Island, he was traded just before the playoffs in 1980 to Los Angeles for Butch Goring. He was then traded to the Maple Leafs for two seasons before returning to the Kings where he retired. He has found new success in the real estate and restaurant business. With his 84 shutouts making third on the all-time list, “Mr. Goalie” was an ever-present barrier in his 18 NHL seasons. Glenn Hall developed his butterfly style in the minors, a style that players such as Tony Esposito and Curtis Joseph would later emulate. Signed by the Red Wings in 1951, he only played three games for them until 1955. When Detroit great Terry Sawchuk was traded to the Bruins, Hall came in and played every single game; he earned 12 shutouts and the Calder Trophy. 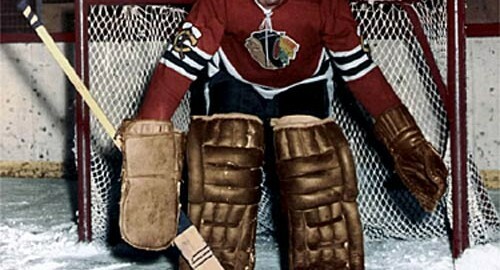 He was then traded to Chicago where he spent 10 seasons and backstopped them to a Stanley Cup in 1961. He won the Vezina Trophy in 1967 and was then picked up by St. Louis after he was left unprotected in the expansion draft. He guided them to the Stanley Cup finals, where he won the Conn Smythe Trophy, even though the Blues lost to Montreal. After several attempts before, he retired for good in 1971. 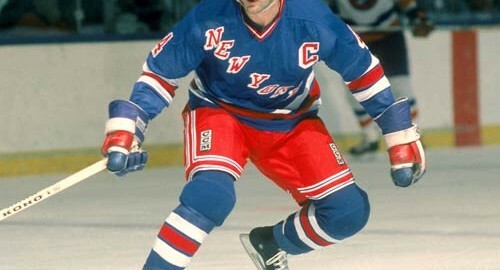 Playing nearly 1000 games in the NHL, Ron Greschner played his entire 17-year career for the New York Rangers. A defenseman who scored 45 points in his rookie year, he was one of Manhattan’s most popular players ever. 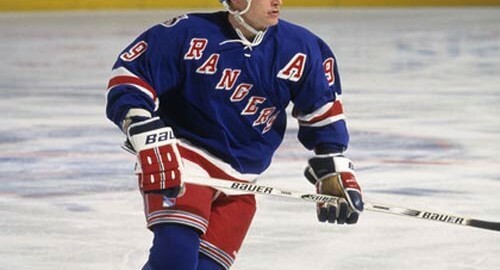 He played in the all-star game and was the pivot for the Rangers’ transition game and power play. Since retiring in 1990, Greschner has proven a successful businessman and now deals in title insurance in Florida. It was 13 years from the day that Gregg graduated with his medical degree until he entered his final year of residency. Over the course of that time, he had skated for Canada in the Olympics twice, been playing coach in Japan for two years, won the Canada Cup, and earned five Stanley Cup rings as a stay-at-home defenseman with Edmonton. A genius that entered university at 16 years of age, he retired from a successful hockey career on three different occasions, only to return after the first two times. Dr. Gregg now practices medicine in Edmonton. A humanitarian who happens to be an athlete, Adam Graves earns respect wherever he goes. Drafted by Detroit in 1986 after his rookie OHL season, Graves finally saw some games in 1988. 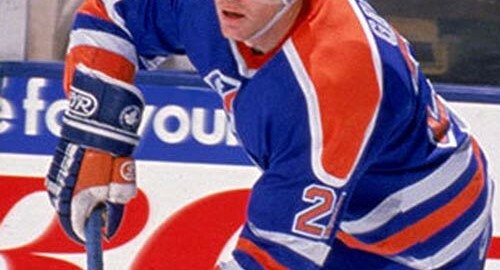 In 1989, he was traded to the Edmonton Oilers, whom he won the Stanley Cup with in 1990. Signed as a free agent by the Rangers in 1991, he helped them win the President’s Trophy when the team hit the 106-point mark. The team did even better in 1994, hitting 112 points. Graves’ 56 goals was a big contributor to the Blueshirts’ Stanley Cup victory and he won the Bill Masterston trophy to boot. 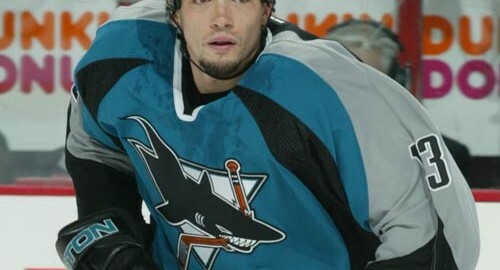 After signing with San Jose in 2001, Graves played two more seasons before hanging up his skates. He is actively involved with children’s charities in the New York area. 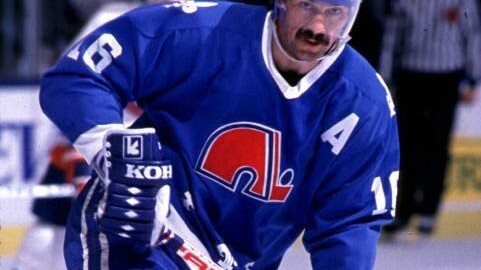 A natural goal-scorer, Michel Goulet (HHOF ’98) was drafted by the Quebec Nordiques in 1979. Inserted into the team right away, his goal-scoring prowess expanded every season. His 57-goal season in 1982-1983 was the start of four consecutive 50-goals seasons, bringing about a place on the 1984 and 1987 Canada Cup teams. In 1990, he was traded to Chicago where he helped the Blackhawks reach the finals in 1992. After suffering a concussion in Montreal in 1994, his career came to a sudden halt. However, the Nordiques retired his number a year to the day after his last game and he was inducted into the Hall of Fame in 1998 with teammate Peter Stastny. Drafted by Los Angeles in 1969, Butch Goring’s first nine years in the league were steady; he averaged 30 goals per season and developed into a complete player and team leader. He is famous for wearing a helmet — that he received as a 12-year-old — for his entire career. 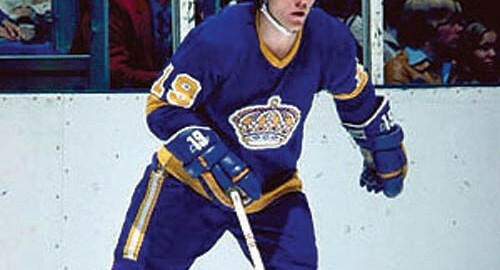 At the trading deadline in 1980, the Kings traded him to the New York Islanders. He was a catalyst for the team and Goring won the Conn Smythe trophy as the Islanders won the first of their four consecutive trophies. After being traded to Boston in 1984, he knew that his career was winding down. His dream of coaching was realized when he became the Bruins’ bench boss the next season. After a year and a half, he coached several minor league teams before returning to the Islanders for two seasons. Butch currently serves as a TV analyst for the Islanders.